Explore 30. 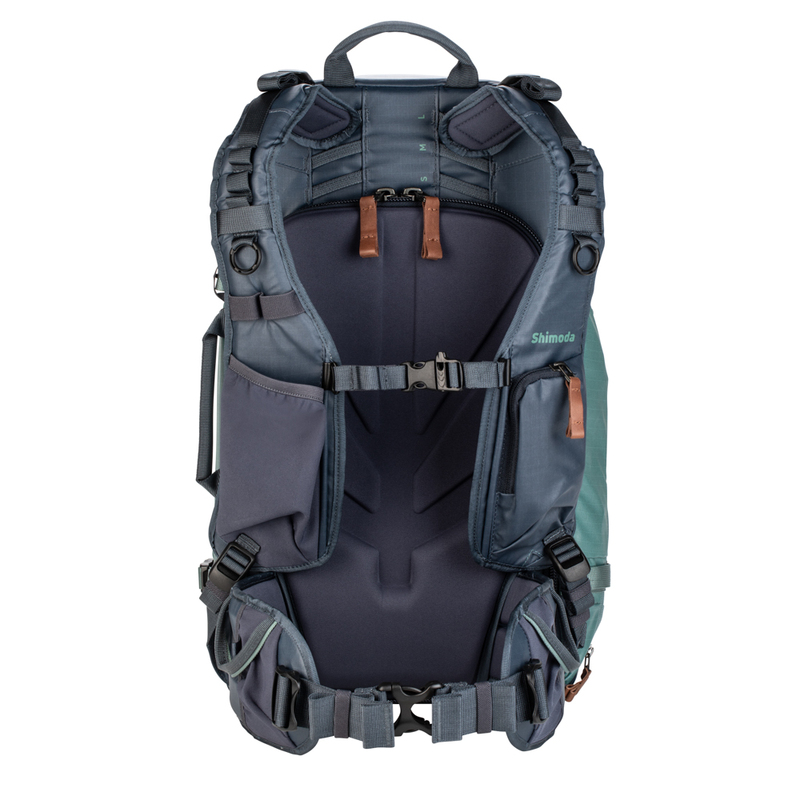 The adventure photographer's every day and everywhere backpack. 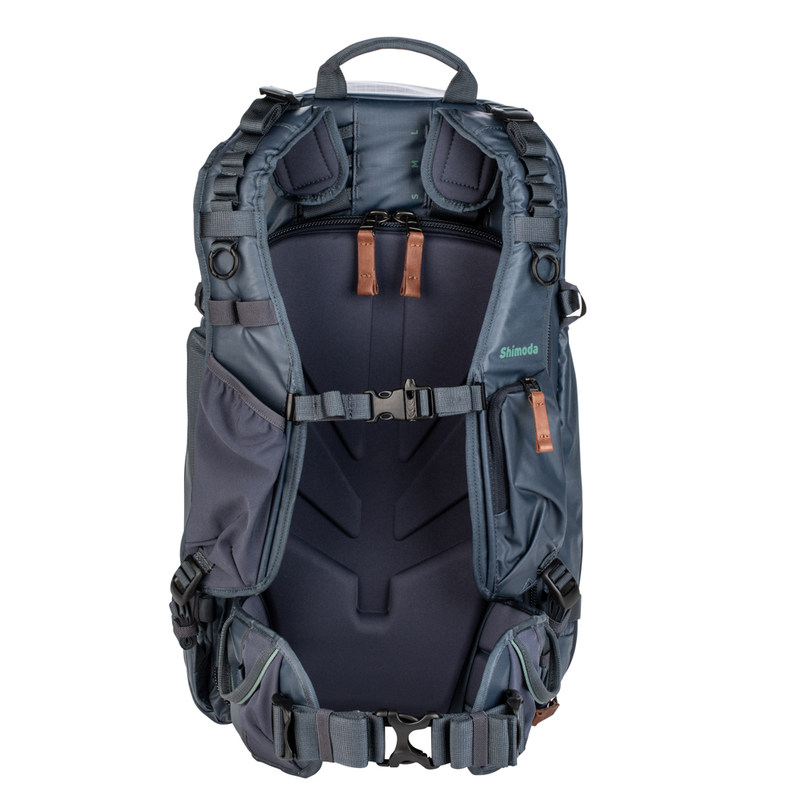 The Explore 30 was created for a wide range of users, from agile adventurers and those with smaller torsos, to urban explorers and those who need to be embedded in the action. 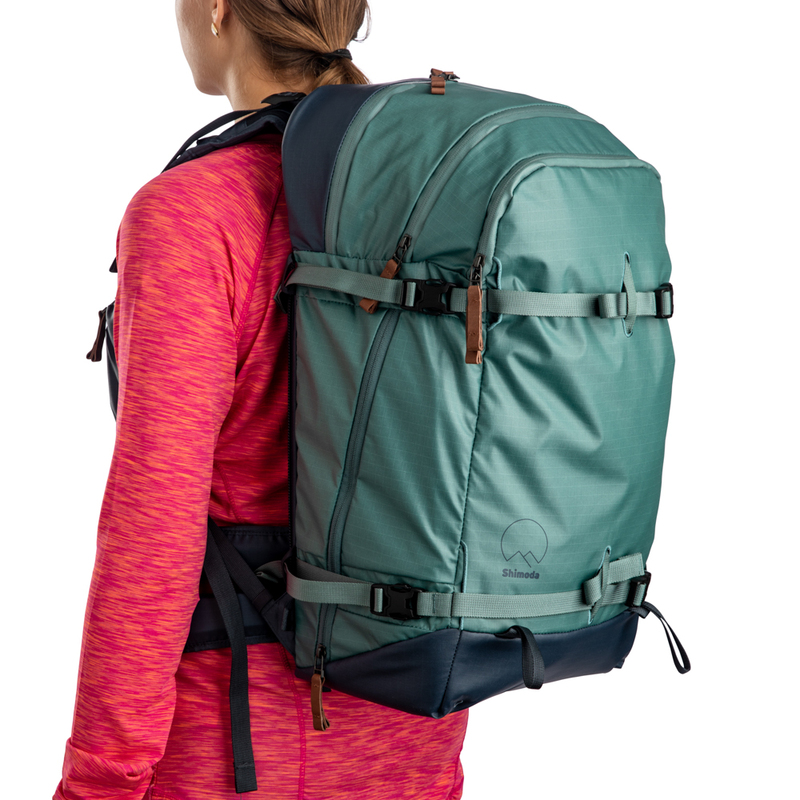 It has the same features as the Explore 40, but with a shorter overall height and a new removable belt system. These additional features open up new worlds of possibility for Shimoda users, and they allow the Explore 30 to fit in everywhere. From daily commutes or urban exploration without the hip belt, to summiting challenging peaks in less than ideal weather, the Explore 30’s compact size and modular Core Unit system lets you move fast while protecting both camera and non-camera essentials. Note: Core Units must be purchased separately OR in one of the Explore Kits below. 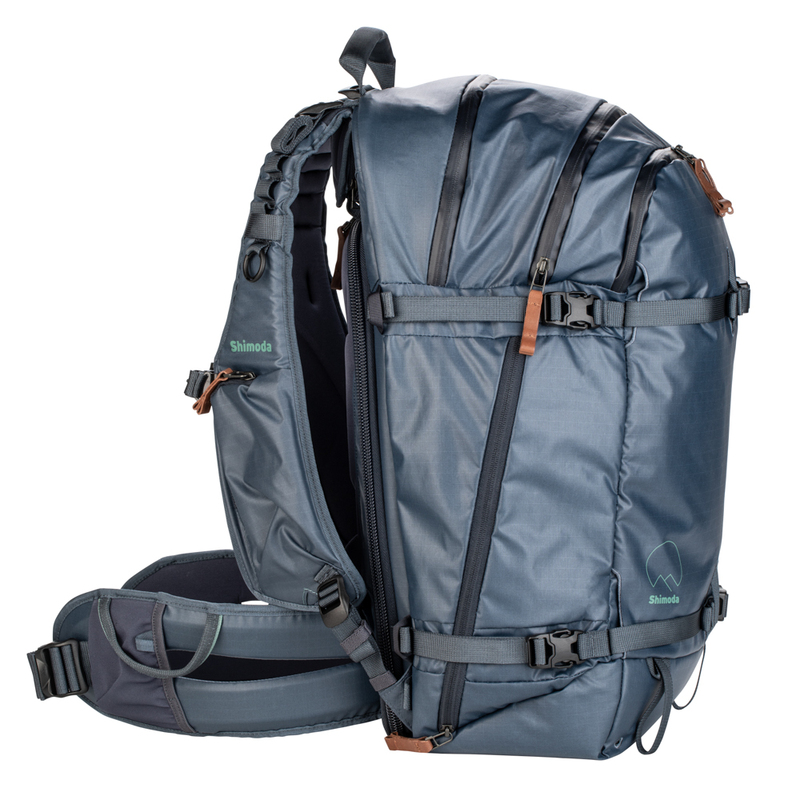 The Shimoda Explore 30 backpack offers rear and side access options. 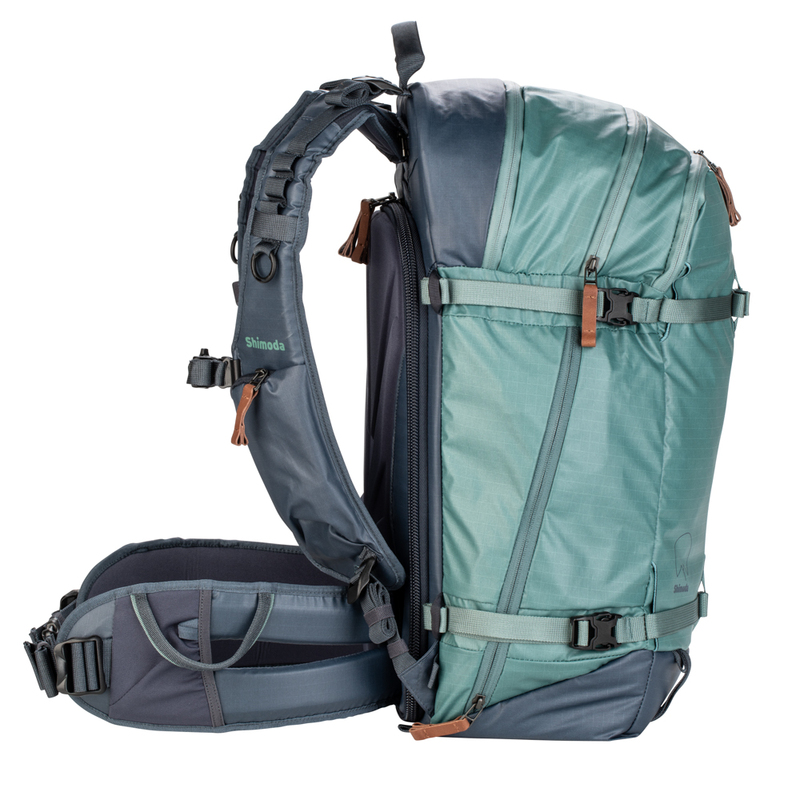 The side opening is ideal for quick, under-the-arm access without completely removing the pack. 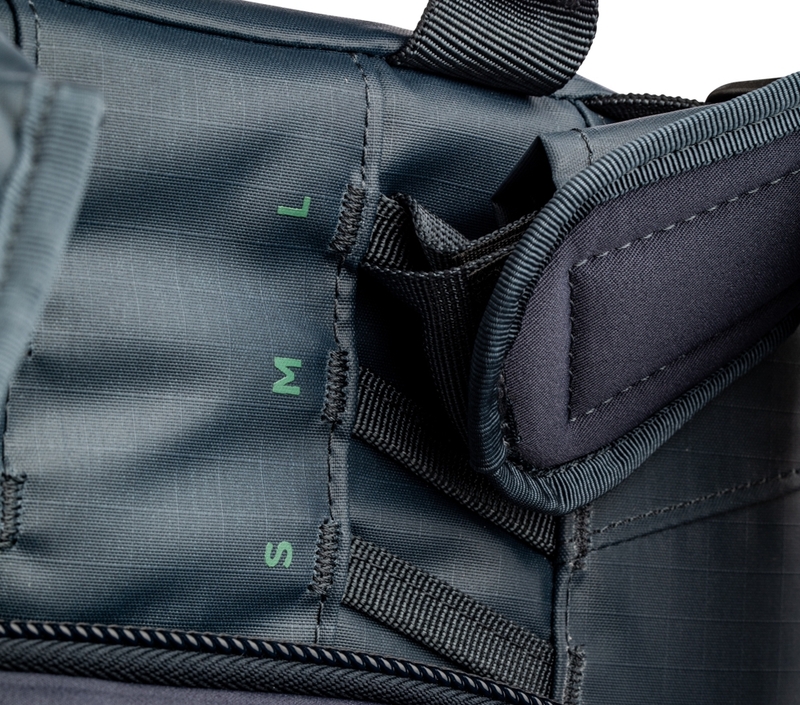 The Rear opening allows wide, unobstructed access to the bulk of your gear for less time-sensitive shooting scenarios. 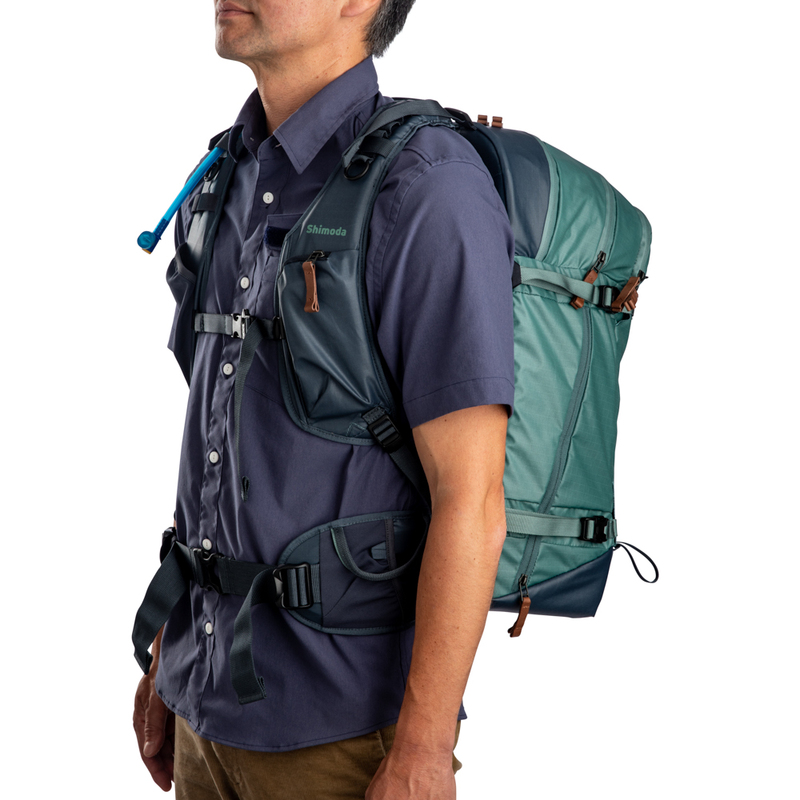 The Explore 30 backpack harness is height adjustable, allowing the same backpack to fit short or tall — male or female — torsos, and ensures a custom fit for every user. There are three height options allowing approximately three inches in adjustment. Having the correct torso fit enables the internal frame to be much more effective in transferring shoulder stress and weight to rest comfortably on the user’s hips. Perhaps the most forward-thinking modular camera inserts on the market, Shimoda’s Core Units are simple, smart and multifunctional. A user can increase their layout options with two or more Core Units by stacking and shifting how they are placed in the pack. This system allows for rear, side and top access configurations that be adjusted to suit changing terrain and environmental conditions. 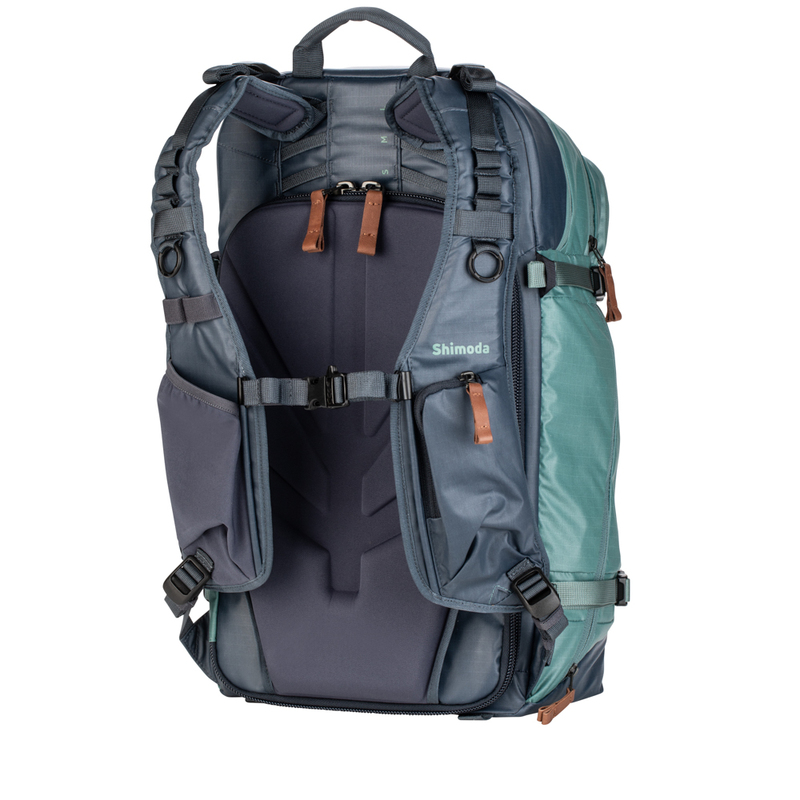 Our backpacks are sized to meet most airline carry-on requirements. Since carry-on dimensions vary by airplane size and style, and regulations are always changing, we recommend checking with your airline before the flight. *Pictured is the larger Explore 40. Need to pack more gear?